This year we have really upped the ante with 24 Awards, including Best Classic Mopar and Best Modern Mopar from Chrysler Power and Performance Mopars Magazine! 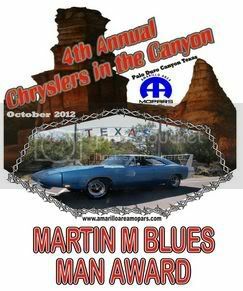 Also in the mix are awards from D&L Racing Engines, Mondini Automotive, and Lone Star Mopars. 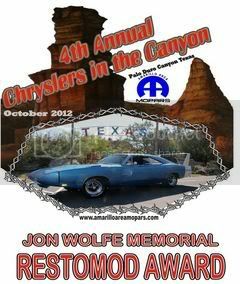 Remember, we base our awards on anticipated turnout...this is why it is critical that you pre-register. If we get an influx of A-Bodies this year, you can expect to see them sectioned off accordingly next year. As you can see...with 24 awards we have really ratcheted up the hardware output. 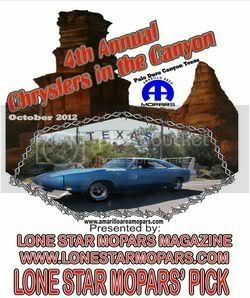 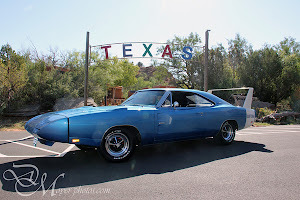 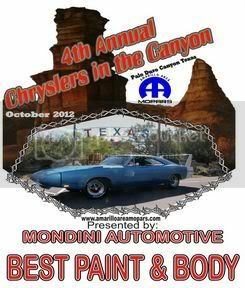 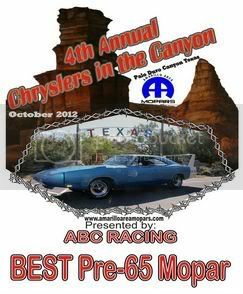 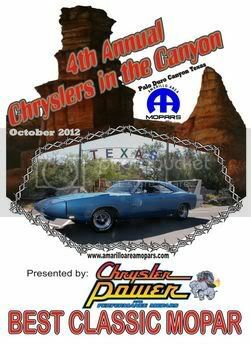 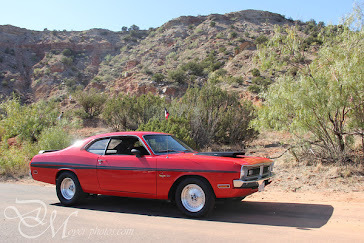 Chryslers in the Canyon IV will be covered in Chrysler Power Magazine, Lone Star Mopars, and will have pictures and videos that you will likely see on all places Mopar across the internet. 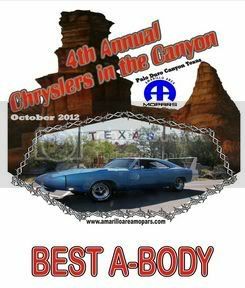 CIC is truly a grass-roots event. We have kept the emphasis on FUN, the price at a minimum, and eliminated all the bs and redtape you find at most car shows. 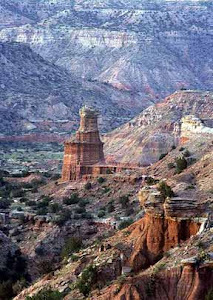 The result is a great time and once you attend, you will pen it in as an annual event. We do ask that winners stick around a little while after the awards ceremony so we can have Della snap pictures of you, your Mopar, and your new hardware. 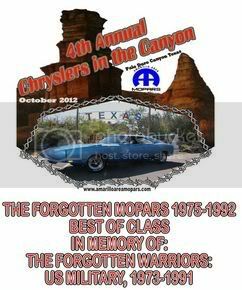 It won't take long and it forever cements the memory and milestone for you and your Mopar.